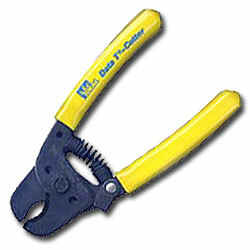 Designed to cut round communication cable and maintain cable geometry for better cable performance. Cuts cable up to .500 in. (12.7 mm) and coaxial cable up to RG9/U. Comfort grip for easy handling. Locking latch keeps tool closed in tool pouch.